All I have to say is WOW!! There were some amazing Whoopie Pies and it truly was a hard decision with regards to the Traditional Whoopie Pie contest. There were two that stood out in the "Creative" category and I ainta' sayin' nuthin' till the fat chef sings....at 2:30. Hope many of you were out in the, albeit humid, sunshine in Dover today. People were everywhere, enjoying themselves and you can't find more people in one spot that genuinely want to be friends with strangers. The only drawback(and I will give some of you bakers some advise) is that a good Whoopie Pie doesn't need fancy names or ingredients. If I had a choice to vote on a great tasting Black Forest Whoopie Pie or a Lemon Meringue with Vanilla Scented Creme Whoopie Pie that was just mediocre, guess which one the Yankee Chef(and the other judges) are going to vote the best? So Kudos to all involved and all there hard work coming up with these deliciously decadent Maine treat. Breakfast was not the same everywhere in New England. More fish, for example, was used along the seaboard than in the hinterland, but even on Cape Cod they had pie for breakfast, as is shown by the following bill of fare of the inhabitants of that region from a description of the town of Chatham printed in 1802. "Food can so easily be procured, either on the shore or in the sea, that, with the profit which arises from their voyages, in which it must be confessed they labor very hard, the people are enabled to cover their tables well with provisions. A breakfast among the inhabitants, and even among those who are called the poorest, for there are none which may be called really poor, consists of tea or coffee, brown bread, generally with butter, sometimes without, salt or fresh fish, fried or broiled. 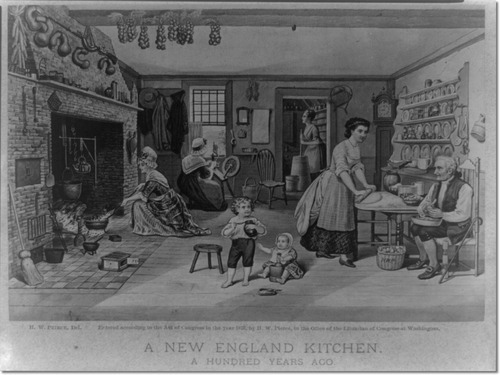 A dinner affords one or more of the following dishes: roots and herbs; salted beef or pork boiled; fresh butcher's meat not more than twelve times a year; wild fowl frequently in the autumn and winter; fresh fish boiled or fried with pork; shell fish; salt fish boiled; Indian pudding; pork baked with beans. Tea or coffee also frequently constitutes part of the dinner. A supper consists of tea or coffee, and fish, as at breakfast; cheese, cakes made of flour, gingerbread, and pies of several sorts. This bill of fare will serve, with little variation, for all the fishing towns in the county. In many families there is no difference between breakfast and supper; cheese, cakes, and pies being common at the one as at the other." 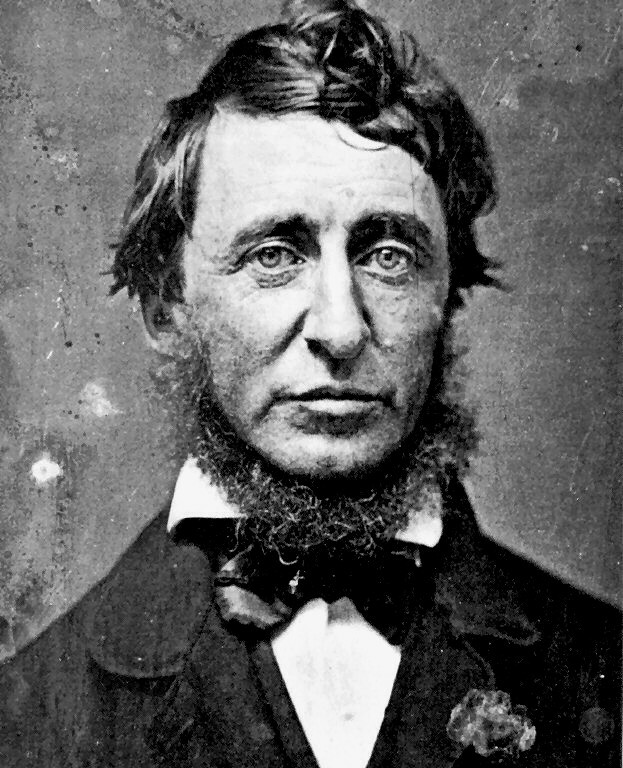 Half a century later when Thoreau and his friend, Ellery Channing, visited Cape Cod, they put up one night with an old oysterman of Wellfleet, who in the morning provided them with substantially the same kind of breakfast. Thoreau's brief account of this meal is interesting and amusing. "Before sunrise the next morning they let us out again, and I ran over to the beach to see the sun come out of the ocean. 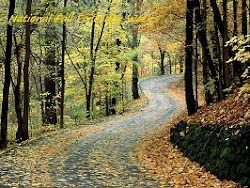 The old woman of eighty-four winters was already out in the cold morning wind, bareheaded, tripping about like a young girl, and driving up the cow to milk. 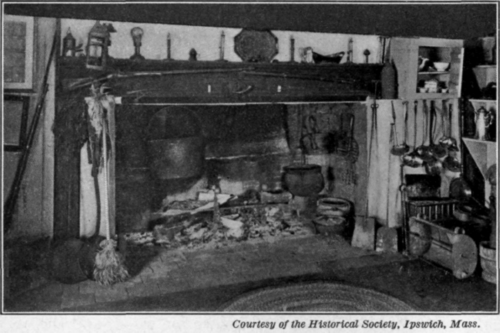 She got the breakfast with dispatch, and without noise or bustle; and meanwhile the old man resumed his stories, standing before us, who were sitting, with his back to the chimney, and ejecting his tobacco-juice right and left into the fire behind him, without regard to the dishes that were there preparing. At breakfast we had eels, buttermilk cake, cold bread, green beans, doughnuts, and tea...I ate of the apple-sauce and the doughnuts, which I thought had sustained the least detriment from the old man's shots, but my companion refused the apple-sauce, and ate of the hot cake and green beans, which had appeared to me to occupy the safest part of the hearth. But on comparing notes afterward, I told him that the buttermilk cake was particularly exposed, and I saw how it suffered repeatedly, and therefore I avoided it; but he declared that, however that might be, he witnessed that the apple-sauce was seriously injured, and had therefore declined that." After breakfast they filled their pockets with doughnuts, which the old oysterman was pleased to find they were called by the same name that he did, and, paying for their entertainment, took their departure. It was perhaps and over sight that they were not offered pie for breakfast, but at least they did have doughnuts, which still happily survive on many New England breakfast tables. The most remarkable thing about the meal was the manner if its preparation. In mid-nineteenth century it was cooked before an open fire. The memorableness of a breakfast may depend on the circumstances in which it was eaten, or the food it consisted of, or both. A breakfast memorable on both counts was served to an English traveler named John Lambert in a Vermont farmhouse on the shore of Lake Champlain at the beginning of the last century(1800s-jjb). 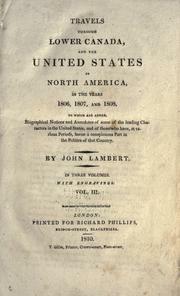 Lambert gives an account of it in his book, Travels in Lower Canada and North America in the Years 1806, and 1808, which was published in London in 1810. On his passage up the lake, Lambert was forced to land early in the morning, after a trying night on the water. Tired, cold, and hungry, he applied at a farmhouse for food. Here is the story of his reception. 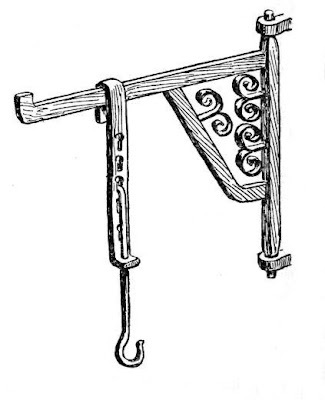 A very old image of a fireplace crane used to hang large metal pots from. 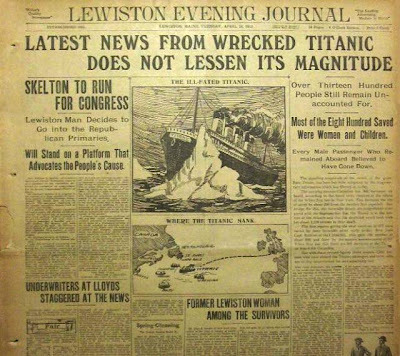 "We were nearly two hours before we could get the vessel off the rocks. At length having succeeded, we coasted along the shore, until four o'clock in the morning, when we arrived in a small bay in the township of Shelburne, about sixty miles from St. John's, situated in the widest part of the lake. Here we went ashore at the first farmhouse, at a little distance from the bay. 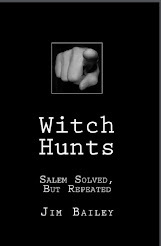 The door was only on the latch, and we entered; but the people were not yet up. Having awakened the master of the house, and told him our situation, he said we were welcome, and that he would get up immediately. In the meantime, we collected some wood, and, putting it upon the live embers in the fire place, soon made a large fire. This was a most comfortable relief, after the cold night we had passed on board our miserable sloop. We found that a considerable quantity of snow had fallen in this part of the lake, though we had not met any during the passage. "The master of the house, with two of his sons, were soon up, and, having put the kettle on the fire, made preparation for breakfast. 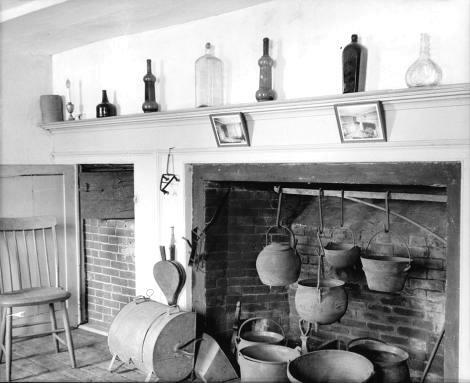 About six o'clock, his wife and daughters, two pretty little girls, came into the kitchen, where we were assembled, and in the course of half an hour we had the pleasure of sitting down to a substantial American breakfast, consisting of eggs, fried pork, beefsteaks, appletarts, pickles, cheese, cider, tea, and toast dipped in the melted butter and milk. We were surprised at seeing such a variety of eatables, as it was not a tavern; but the farmer was a man of property, and carried on the farming business to a considerable extent. He showed us a great number of cheeses of his own making; and, for churning butter, he had made a kind of half barrel, with a place for one of his young boys to sit astride as on horseback. This machine moving up and down answered the double purpose of a churn for making butter, and a rocking horse for his children. "Having made an excellent breakfast, we inquired of our worthy host what we had to pay. He said he should be satisfied with a York shilling(about 7d. sterling); this however we considered too small a sum for the trouble we had given him and his family and the handsome manner in which he had entertained us; we therefore gave him a quarter of a dollar each, that being the tavern price for breakfast. We then took our leave, and went on board our vessel, equally pleased with the interested hospitality of the American farmer, as with the comfortable refreshment we had received at his house." The oddest item in this Vermont breakfast is the cider, but at that time and for many years thereafter it was drunk at all times of the day in New England, and commonly at breakfast. In ordinary seasons it was worth about a dollar a barrel. It was usually drawn in a mug or bowl, and among farmers it was considered a breach of manners not to offer it to any casual visitor or traveler. It was intoxicating, but was seldom taken in quantities sufficient to intoxicate-at least, not at breakfast. President John Adams was in the habit of tossing off a quart tankard of hard cider before breakfast, and it did not seem to do him harm, as he lived to be ninety. 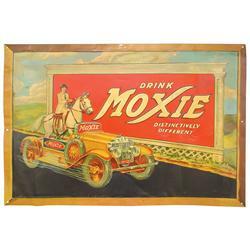 Moxie soda, the official soft drink of Maine, is the oldest soda continuously produced in the U.S.. It was originally a patent medicine that was created by Dr. Augustin Thompson in 1876. After a "successful" run as an elixir, the doctor modified the recipe a bit and introduced the "Moxie Nerve Food Beverage". It was billed on its' as "the only harmless nerve food that can recover paralysis, softening of the brain and loss of manhood". 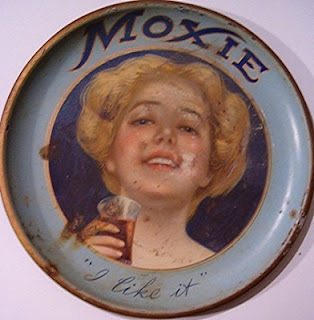 Exhaustion, imbecility and helplessness were also touted to be cured by drinking Moxie. 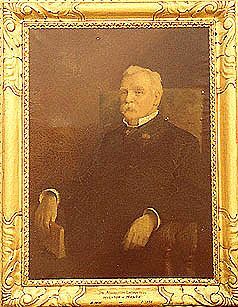 Dr. Thompson was born in Union, Maine on November 25, 1835. He belonged the the Union Army, ranking from private to Lieut. Colonel by the end of the Civil War. 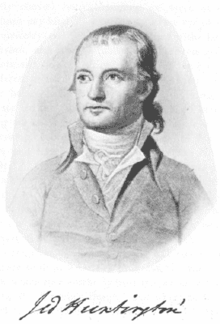 Afterwards, he enrolled in medical school and graduated from Hahneman Hospital in Philadelphia. he subsequently set up practice in Lowell, MA and was making patent medicines with all being very popular at the time he introduced Moxie. 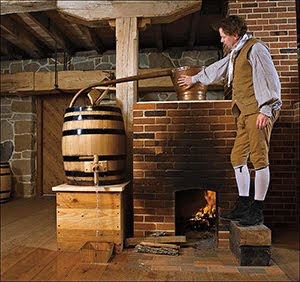 The taste in its early years was bitter and medicinal, with some of its ingredients being oats, sassafras, wintergreen and (some say) cocaine. Even though the recipe has changed over the years(with sassafras being outlawed in the 60s)the same basic flavor still lingers after over 125 years. The word Moxie means courage, guts, nerve. Hence all these adjectives(many contend)that are needed to try Moxie, the beverage. Regardless of the general agreeance of the tenacity it takes to drink this soda, it was America's most popular brand until the late 20s. 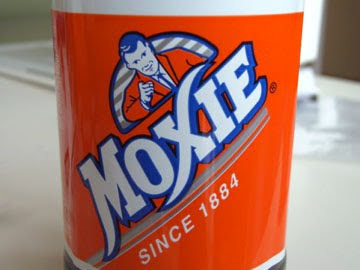 Maine is proud of their Moxie heritage, having Moxie Falls, Moxie Cave, Moxie Pond, Moxie plums and Moxie berries. 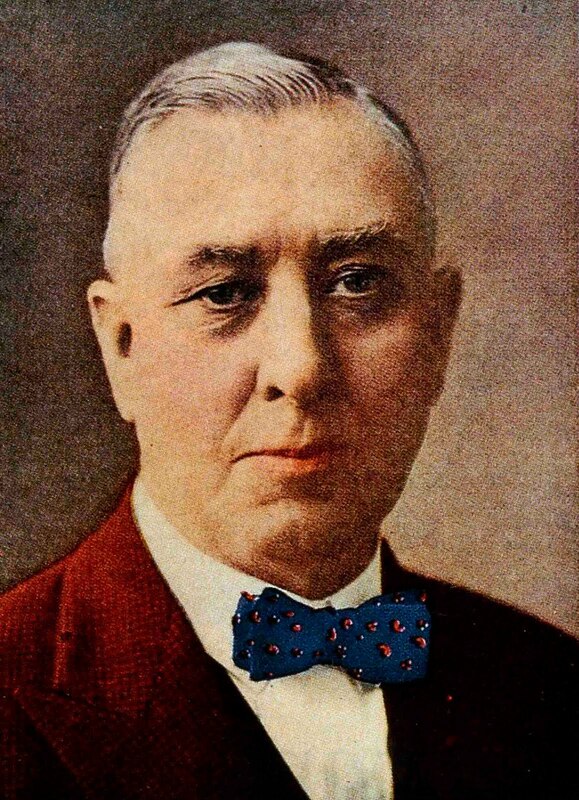 Some contend the word moxie is of Indian origination, as Dr. Thompson contended. He marketed this elixir as being a secret Indian recipe.It is known that the Moxie berry was used by the Indians for medicinal purposes, so this wasn't far-fetched. 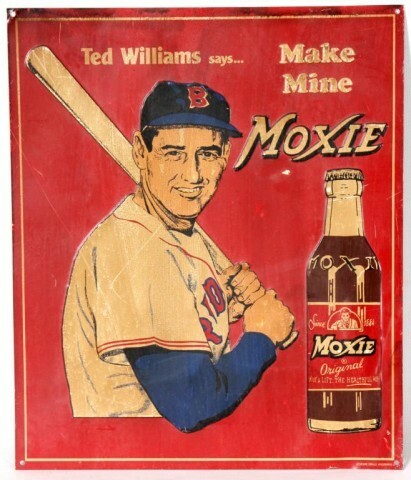 Advertising the brand Moxie would've been a tough sell for any professional, except Frank Archer. Frank was a genius and was solely responsible for Moxie's popularity. The famous man pointing at you and telling you to drink Moxie from the can or bottle label of Moxie is said to be Frank and is one of the most successful advertising campaigns for any soft drink. Reminiscent of "Uncle Sam Needs You!". Franks eyes follow you wherever you go(try it--lean you're head to one side of the screen--weird, huh?). The most popular advertising campaigns started around 1886 with a giant replica of one of the bottles being loaded onto a wagon pulled by a team of horses. By 1899, it had evolved into the Moxie Bottle wagon, in which a horse pulled an 8' tall replica of a Moxie bottle. There was a door in the back of the bottle that a salesman could enter and dispense soda to customers. By this time, Moxie had become so popular that competitors had started copying the flavor, bottle shape, advertising campaigns and their name. 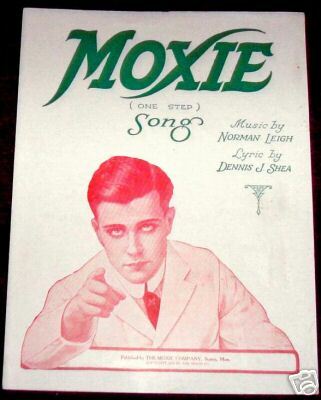 In Canada, "Noxie" was being produced. 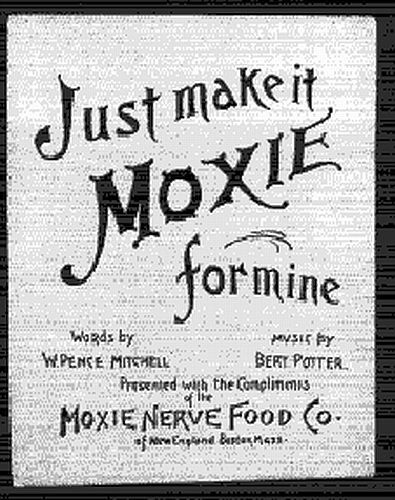 By 1905, Moxie started using automobiles to advertise. 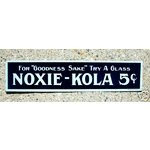 Did you know that many towns were thanking the Moxie company because they were the first to set up signs telling people how far to the next town. It wasn't long before Frank started touting Moxie as being the perfect beverage for "Safe Driving" or have "One for the Road". It was also said to be "New Englands Cure for Alcoholism". This idea was also stuck in Franks head because Moxieland, where Moxie was produced,. was once a brewery. By 1915, the first Moxiemoble was created, also referred to as the Moxie Horsemobile because it consisted of an aut6omobile with a horse mounted to the back. Because it was dangerous to drive, being top heavy. Frank hired the George Pierce Company to come up with a better, more stable automobile. 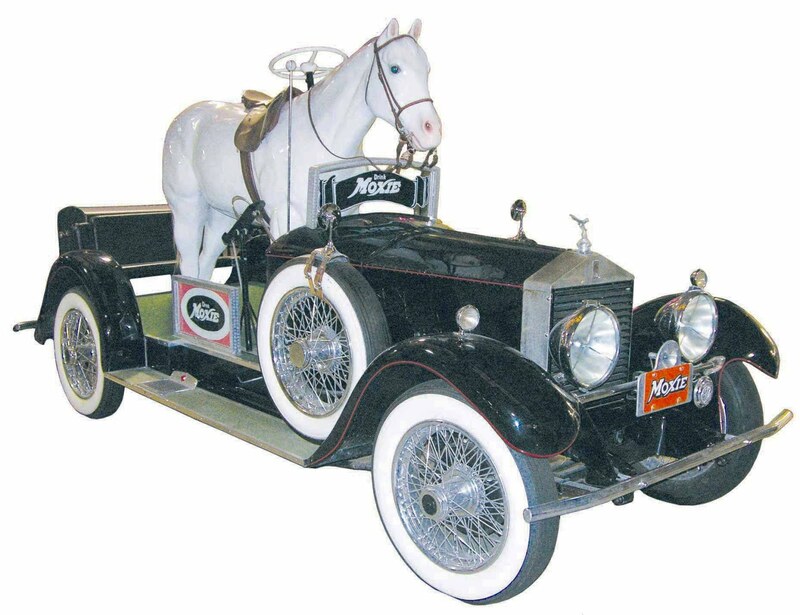 Pierce took a Dort Speedster chassis and mounted a reinforced papier mache horse to the back, instead of a live horse. That was the gimmick that worked. These vehicles lead many a towns parade and grabbing the public's attention wherever it went. Many Moxiemobiles were built over the years, using Buicks, LaSalles and even a Grand Silver rolls Royce. Out of all of the Moxiemobiles ever produced only one LaSalle still survives. An early 20th century tip tray. 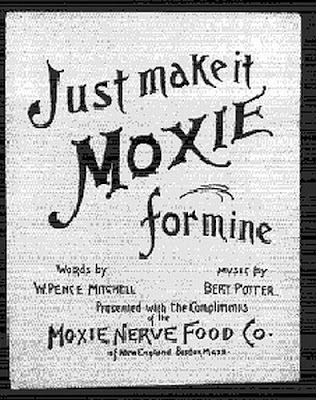 "Just make it Moxie for Mine"
and in 1921, a best seller-"Moxie One-Step song" and "Moxie Fox Trot Song." In 1968, Moxie(in order to compete with other soft drink companies) made their famous tonic sweeter, which turned into a huge blunder for the company. 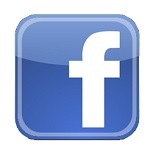 It lost over 50% of its customers almost overnight, and seriously enraged the remaining percent. For one reason or another, it wasn't until 1980 that Moxie changed back to their original recipe, but by then many people just were not interested. 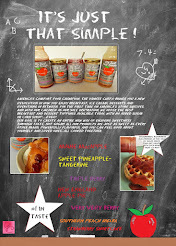 So with the history of Moxie in mind, here is a great tasting recipe for a southern dish made the Yankee Chef's way! Take a Back Seat Coke! There's a new taste for barbecue that was here before you. Trim most of the fat from the pork if you like.Line 9 x 13-inch baking pan with foil and place pork in pan. In small bowl, combine chili powder, salt and brown sugar. Rub mixture over all sides of meat, pressing to adhere (if the meat is tied together with twine or netting, just rub the seasoning right over it). Set aside. In a large skillet over medium-high heat, warm oil. Add pork and brown on all sides, 6 to 8 minutes. Transfer meat to slow cooker. Add broth and Moxie to skillet, scraping up any browned bits, then add broth mixture to slow cooker. 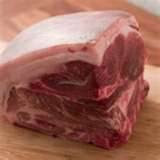 Cover and cook until pork is very tender, 6 to 8 hours on low or 4 to 5 hours on high. Transfer meat to cutting board and let rest 10 to 15 minutes. Use two forks to shred meat into bite-sized pieces. don't even think about throwing away that delicious juice. Moisten and season with cooking juices to taste. That fine old institution, the New England breakfast, is not what it was in the days when a man with an appetite could sit down to a table customarily laden with more good food than is now served at all meals of the day combined. Gone are the great juicy steaks, the red-hot chops, the vast platters of smoking ham and eggs, the hashed brown potatoes, and the steaming stacks of buckwheat cakes brought on in relays and eaten with maple syrup from your own back yard. All of the more substantial viands have been banished from the morning board, and with them into exile has gone that most exotic, and traditional of all new England breakfast table dishes-pie! Pie formerly graced Mr. Everson's breakfast table at Concord in the days when New England was in bloom, as it also did that of Dr. Holmes, the amiable autocrat. poet, and professor of the breakfast table. Did he not say, "I will thank you to pass the pie, if you please?" Most New Englanders were too busy eating to do much talking at breakfast, but the consumption of a large wedge-shaped piece of pie did no more than put a temporary stop to the pleasant flow of Dr. Holmes's talk. At the Longfellow home in Cambridge,whenever a flake of pie crust fell into the beard of the author of "Excelsior," the poet's attention was called to its presence there by some member of the family remarking in the most casual and innocent way, "There's a gazelle in the garden." 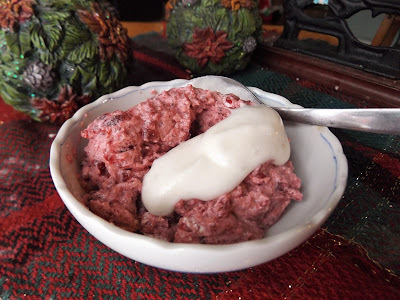 The remark was one which the Longfellows picked up from the wife of that splendidly bearded man, James T. Fields, the Boston publisher, whose literary breakfasts were noted for their distinguished company and blueberry cake. In the Revolutionary period, when our forefathers got in some of their best work at the breakfast table, New England produced the biggest generals and other military officers in point of avoirdupois. This is shown by the following memorandum which was found int eh pocket book of an officer of the Massachusetts line. 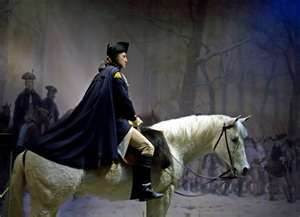 what an eleven was here, and every man, with the exception of General Washington, was a New Englander! The combined weights of these officers, including the commander in chief, adds up to the impressive figure of 2,379 pounds. Subtracting General Washington's 209 pounds, leaves 2,170 pounds, or an average for the ten New Englanders of 217 pounds per man. 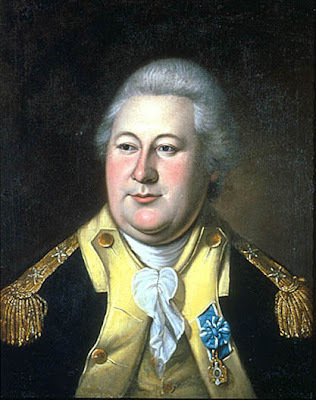 The mighty General Knox, who weighted in at 280 pounds and was therefore the heaviest of these heavyweights, fought in all the principal battles of the Revolution and was our first Secretary of War. He loved good food but had the misfortune to die at an untimely age of a chicken bone in his throat. Difficult to explain is the diminutive General Huntington, weighting only 132 , who appears like a minnow among the whales. Evidently he was one of those unfortunate persons born without a tooth for pie, a man with no appetite for breakfast except in its most attenuated modern form. Old tavern bills are often interesting as social documents because of the light they throw on the customs, habits, and manners of the people of bygone times. Take, for instance, the following bill which was paid by the Second Congregational Church of Hartford in 1784. A new minister was settled on the church that year, and the bill represents the cost to the parish of the ordination.l It was a solemn occasion, but it was not without its cheerful side, as is evident from the items in the bill. It is plain from this bill that three of the ministers came to town the day before, probably arriving in the evening, since there was no charge for supper, though they may have arrived earlier and been privately entertained that evening. In any case, before retiring at the inn, each had a nightcap, two of them drinking a mug of toddy apiece, the third a bottle of wine, and between them they smoked five cigars costing one shilling tuppence each. The South Society in Hartford, to Israel Seymour, Dr.
May 5th to keeping ministers, etc. The cigars seem rather an extravagance at that price, particularly when it is remembered that native cigars made by the wives of Connecticut Valley farmers sold them for only a penny each and were usually free to guests at inns. But as these local cigars were admittedly pretty rank, the godly gentlemen cannot perhaps be lamed for ordering the best the house afforded in the way of the imported article from Havana. Ordinations, moreover, were times of abundant hospitality, with everything on the parish, at least so far as the visiting clergy were concerned. The beds were cheap at threepence each, and the charge for the three bitters taken before breakfast and for the meal itself was not excessive. That the breakfast was a substantial one many be deduced from the fact that is cost only a few pence less than the dinner. From the other items it is reasonable to conclude that the reverent companions became quite tipsy, but there was nothing unusual in this. It was one of the quaint customs of the time. "ANDROSCOGGIN COUNTY, MAINE FAT MEN 1870"
From the Evening Journal of Lewiston, Maine 21 Jan. 1870. This newspaper ran from 186901972 in Maine. This is a list of overweight men as listed in this newspaper, kinda humorous considering most of these weights are commonplace now. BARTER Daniel Pike 1800 5'10" 222# Auburn wood cutter . BEALS Rufus . . . Turner . .
age 65y 3 m . 250# Lewiston . .
BRADBURY E A 1843 6'1.5" 210# Auburn . .
has a brother as small as he is"